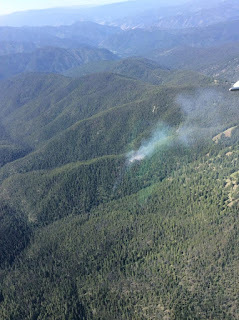 Salmon, Idaho: Several thunder storms passed over the Salmon-Challis National Forest (SCF) yesterday afternoon and as a result five (5) new fires have been reported. Location: East of Anderson Mountain and north of Dahlonega Creek. Staffing: Eight (8) firefighters and eight (8) smokejumpers. Two crews are in route to the fire. Access to this fire is limited. Fuels: subalpine fir with a heavy dead and down component. The SCF is looking a possible trail closures in the area on the Continental Divide Trail. Location: Southwest of Golden Trout Lake, just into the Frank Church River of No Return Wilderness. Staffing: Eight (8) smokejumpers. Additional crews are in route to the fire. Access to this fire is limited. The SCF is looking a possible trail closures in the area. Location: Fire report in area of Lost Packer Peak. This fire is a new report and information is currently being gathered. Additional information will be released when available. Location: East of the Middle Fork of the Salmon River (river right), north of Rattlesnake Creek and south of Woolard Creek in the Frank Church River of No Return Wilderness. Fire is burning mid-slope and current activity is smoking and smoldering. Location: Approximately 1½ miles north of Mahoney Airstrip in the Frank Church River of No Return Wilderness. This fire is a new report and information is currently being gathered. Additional information will be released when available. 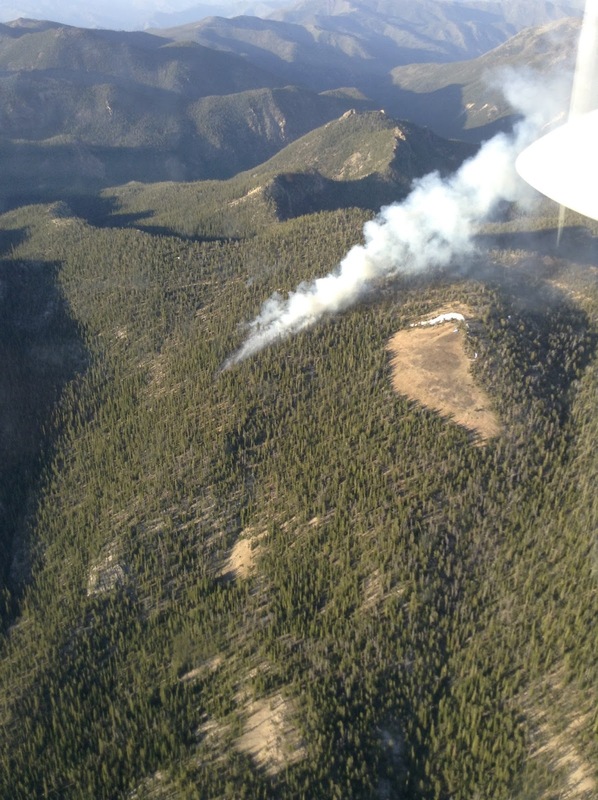 Both the Rattlesnake Creek and Mahoney Fires will continue to be monitored. Lightning from the thunderstorms was concentrated from Hayden Creek north to Salmon. There is a potential that more fires will be located over the next couple of days. Fireworks are prohibited on all national forests year-round. No fireworks of any kind may be discharged anywhere within the Salmon-Challis National Forest, regardless of weather conditions or holidays. While areas of the Salmon-Challis National Forest look green, fire danger is HIGH. Fires can start quickly and will burn in vegetation that seems green but is drying out. Campfires have the potential to cause a wildfire when not properly extinguished. Never leave a campfire unattended and always use enough water to put the fire completely out. Make sure your campfire is cold to the touch. You are welcome to visit the http://www.fs.usda.gov/main/scnf/home, and check out News & Events, ‘Like Us’ on https://www.facebook.com/salmonchallisnf, and ‘Follow Us’ on https://twitter.com/SalmonChallisNF for further information.